Including a FAQ (frequently asked questions) page on your website can provide you with the opportunity to answer questions that don’t necessarily have a home anywhere else on your website, or simply act as a shortcut for customers to find ‘to the point’ answers to a lot of their questions. It can often be a place for questions that seem extremely obvious but break down financial jargon that many customers may not understand or may be hesitant to ask directly. Your FAQ page builds trust with your audience two ways. Firstly, by showcasing your personality and expertise within your answers. Writing conversationally and explaining complicated financial concepts in laymen terms lets prospects know you’re professional and easy to work with. It’s also a chance to prove you’re worthy of managing their investments, by demonstrating your expertise through high-value insights and answers. Secondly, your FAQ page allows you the opportunity to be transparent, which has a significant impact on trust, specifically in finance. Great examples of how you can do this are answering questions around fee calculation or providing guidance and clarity around your fiduciary responsibility and compliance. Your FAQ page can be a great opportunity to optimize on-page SEO. 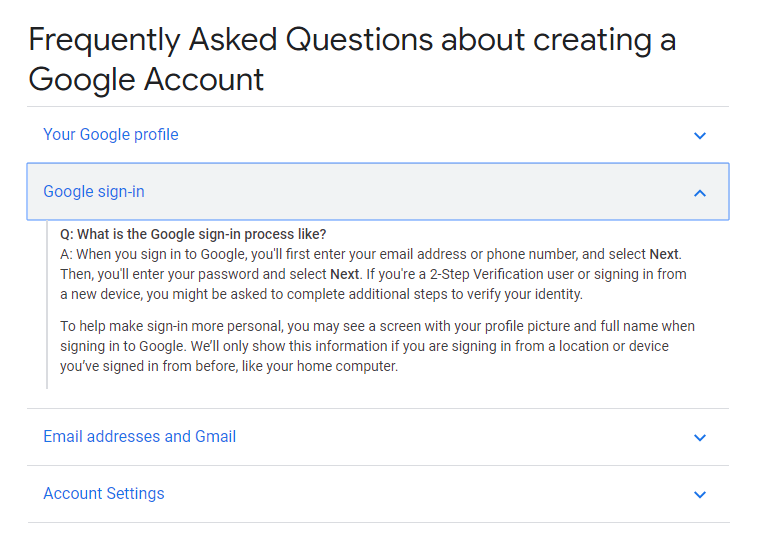 A few best practices for FAQ pages are that your questions and answers should be short and to the point, well organized, and easy to navigate - all aspects that Google loves. Google optimizes for relevancy, which is why FAQ pages are awesome for improving your search ranking. This is because the frequently asked questions you receive are most likely universal among financial advisors. If you’re answering clients questions more accurately than your competitors (or even better, you’re the only one providing the answers), your website will rank higher on Google and other search queries. 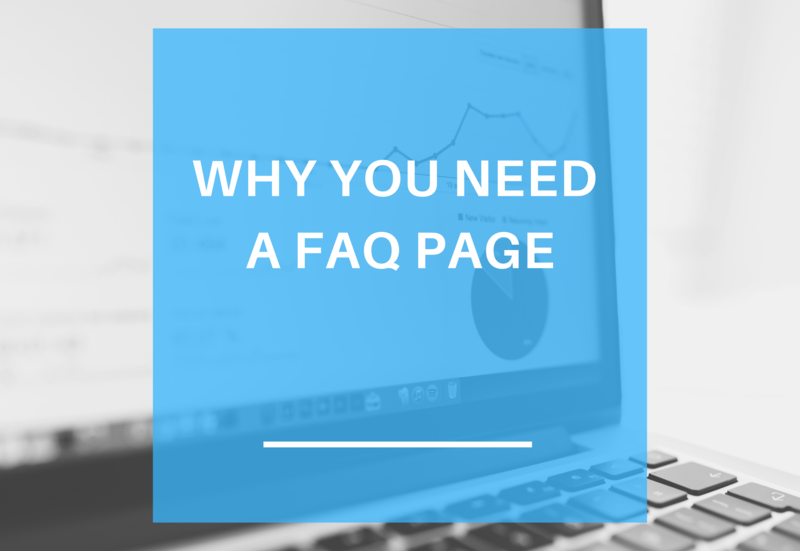 Some have made an argument against having an FAQ page on your website as it can possibly deter prospects from reaching out with their questions, resulting in missed opportunity. However, if your FAQ is written correctly it can be the beginning of a conversation with your prospects, not the end. Your questions and answers can engage your audience at a high level and direct them to contact you for more information! For example the question, “How are Financial Advisor fees calculated? ", is a common question that can be answered with industry standards. You’re able to be transparent by explaining differences in fee-based versus commission-based, then follow by providing your contact information and an offer to have a personal chat about your pricing structure and how you can help achieve their financial goals. FAQ pages can be have a lot of engagement, why not take advantage of this by utilizing links to other pages and contact forms. For example, answers questions around services by providing a link to your services page, questions around certifications or qualifications with a link to your biography and team members, etc. These are all ways to turn your FAQ page into the start of a conversation that results in new clients. Determining what questions to include on your FAQ page may be more difficult than you anticipate, it may take a few months to start to accumulate the right questions that offer mutual value to your audience and your business. Keeping note of your client’s frequent questions is great, an even better option is offering advice in the form of a question. What are the questions you think clients should ask? As the expert, these questions are more informative for prospects and therefore build trust and a greater chance of conversion. Other options for determining high-value questions are asking colleagues, team members or asking clients directly through a survey. Keep in mind your Broker Dealer's Compliance (if necessary)! Be sure not to make any promises or speak of testimonials within your answers. If there is a frequently asked question you must answer around guarantees, here's another opportunity to link your contact information and don't be afraid to be candid with rules and regulations in place for the protection of yourself and clients privacy. Another important factor to consider when creating your FAQ page is where to locate it. It’s important to have it located in a place that is easily found. It would be quite ironic if one of your FAQs was, ‘where can I find your FAQ page?’. The footer of your website is one of the more common places to link, it guarantees that users will easily be able to find it as it’s stuck to the bottom of every page of your website. What qualifications or certifications does a financial advisor have? The qualifications and certifications to become a Financial Advisor differ depending on specialization and country. Within the US, to become a financial advisor you must be registered with the FINRA or become a Registered Independent Advisor (RIA). FINRA has approximately 150 different, approved designations; CFP, CDP, CFC etc. Here is your opportunity to illustrate your achievements and qualifications - don't forget to link to your biography. If you haven't put together your biography just yet, click here for our free Advisor Biography Template. A great way to answer this question is to list your services in bullet point and provide a link to your services page. If prospects are searching for this answer on your FAQ page, they most likely are looking for a shortcut to the answer. How are Financial Advisor fee's calculated? There are two main avenues for Financial Advisor fee's to be calculated, fee-based versus commission-based. Fee-only advisors work for their clients and are paid an hourly rate, a fixed annual retainer, or a percentage of the investment assets they manage for their clients. Commission-based pay structure is calculated as a percentage of the product they sell. There is also a hybrid model, where Advisors may have a pay structure that incorporates both formats. From here you're able to link to your pricing page and provide your contact information for further details on your pricing structure. What is my financial advisor's fiduciary duty? By law, RIA’s have a fiduciary duty to their clients, which means they have a fundamental obligation to provide suitable investment advice and always act in their clients' best interests. Investment philosophy is an excellent way to connect with your audience. Share your values and objectives for your investment strategies. You may even mention why you're passionate about your job and helping others achieve their financial dreams. All great ways to begin a conversation with future clients.